Veronese Our Lady of Lourdes Resin 8 Inch Statue. Veronese Apparition Resin 8 Inch Statue. Ceramic Our Lady of Lourdes Statue with Light - 8 Inch. Virgin Mary Madonna Head Statue 7 1/2". Our Lady Mount Carmel Statue by Veronese 10 Inch. 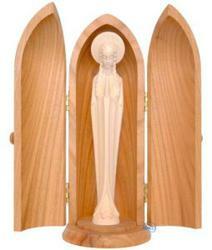 Florentine Collection Our Lady of Lourdes Statue 12 inch. The Florentine Collection St Therese Statue. St. Joseph Statue with Jesus by Veronese 8 Inch. 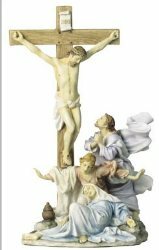 Crucifixion Statue by Veronese 13 Inch an Unusual Portrayal. Quality Crafted Wood Carving of the Scared Heart of Jesus. Exquisite Quality Color Crafted Wood Carving of Our Lady of Lourdes. Exquisite Quality Crafted Wood Carving of Our Lady of Lourdes. Our Lady of Lourdes Maplewood Hand Carved Statue. 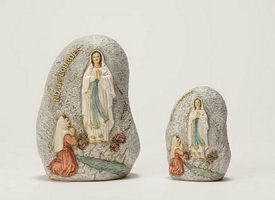 Our Lady of Lourdes Grotto Statue 16 cm tall. 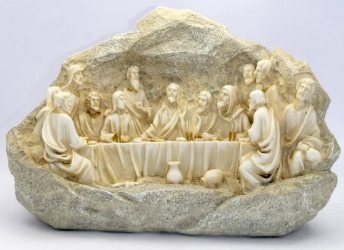 Miraculous Statue Made from Porcelain 10 inches. Lourdes Apparitions Hands Statue in Porcelain. Lourdes Apparition Statue at the Grotto 21.5 cm tall. Apparition Statue at the Grotto 21.5 cm. Statue of Saint Bernadette and the Virgin Mary Porcelain 8 inches. Notre Dame de Lourdes Statue 16 cm tall.